1. 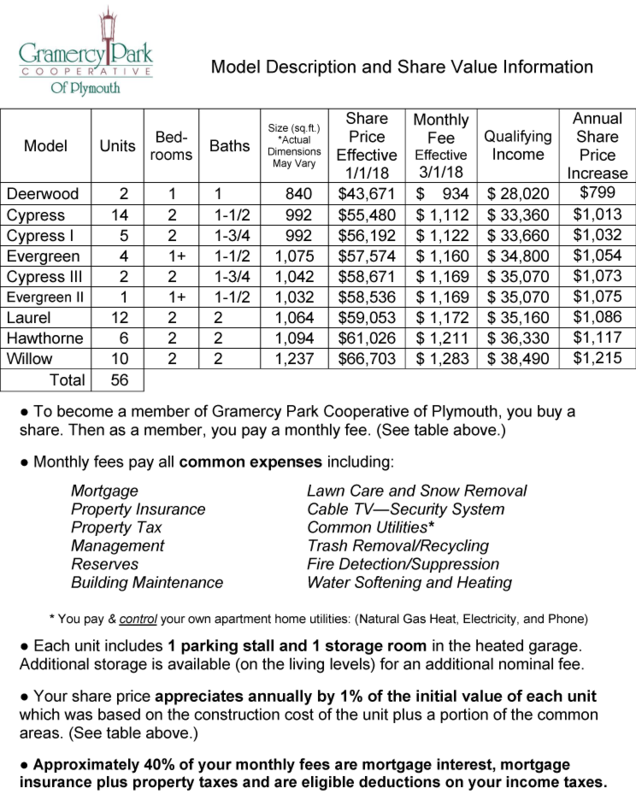 We announce the New Listing to everyone who currently lives at Gramercy Park Cooperative of Plymouth. They have five (5) calendar days, beginning the day after the apartment homes share is posted, to indicate their interest and make the purchase offer. 2. After the (5) day posting, if no current member/owner makes an offer to purchase, we announce the availability to everyone on our Priority Wait List. This announcement is mailed at the last known address. 3. Prospective members from the wait list indicate their interest by calling us here at Gramercy Park Cooperative of Plymouth 763-531-9424 or send us a written reply by mail or by emailing us at info@gramercyplymouth.com. 4. Ten (10) days from the date of this letter, beginning the day after, we contact the “Yes!” responses in priority order to schedule a tour. Priority order is the date of receipt of the wait list application and refundable down payment. 5. Following the tour, the prospective member (in order of priority) has three (3) calendar days to make a decision about joining the cooperative by making an offer to purchase the share with a proposed date to seal the deal. 6. When a wait list applicant chooses to “pass” on the particular style/share, we contact the next person in priority order and the process continues. 7. Should no one from the wait list make an offer to purchase then we begin to market to the general public including adding the Floor Plan listing to this page. 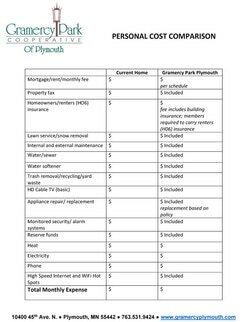 Download the Cost Comparison worksheet and see if your money could be working for you a little better.